We can be found on Thorne Road in Wheatley Hills, Doncaster. On this site you can find everything to do with the business including our wide range of available services. Please do not hesitate to contact us with any questions you may have. Was advised to go to Andy Candler as my Mercedes was overheating.Was given a quote and time for the work to be done and was very pleased to say both were met.Excellent service and will most definitely be using them again .Highly recommended 10/10 for service and customer care. MOT - Service done very good. Thank you for taking time to put a review, all our work is guaranteed and had you been into our garage, i would have ensured that our technicians would have looked at your vehicle instantly and there would have been no charge. We pride ourselves in quality and customer care, we do not carry out any repairs unless authorized, all repairs are carried out to manufactures specifications. We have checked back in our records and have not found any electrical works that have been carried out nor can we recollect any issues raise in connection with this matter. Please feel free to use the Which Trusted Trader ombudsman so we can resolve any issue's you have with your vehicle or contact our garage so this can be resolved to your satisfaction. What marvellous service! Helpful (gave me a lift home when I dropped my car off), honest, reasonable. At last a garage I can trust! Highly recommended. Fantastic service at short notice. They are great at what they do, I have used them a couple of times and not had any issues with them at all. They are very good workers and always do a great job on my MOT. I highly recommend them. Very happy, use them all the time. They are brilliant! I have used them for the last 20 years and will continue using them. Had my vehicle service there recently - much better value than the 'approved' service location and the car has been driving more smoothly than it has since I bought it. 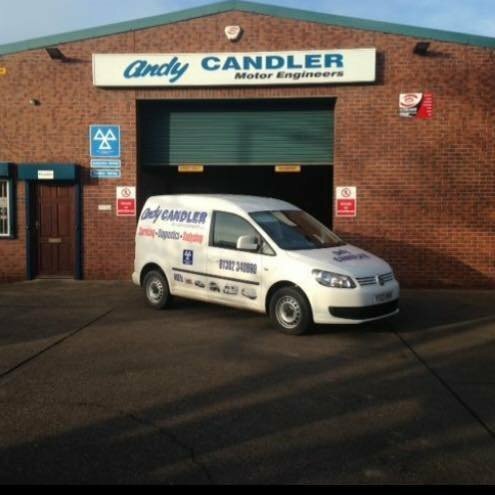 Andy Candler has been maintaining my, and my childrens' vehicles for many years. We've always found him to be honest and fair, but thorough. I trust him and his advice and am content in the knowledge that when my children drive around Britain they are doing so in cars that are well maintained, and safe.